In the last days of March, 1865, Lieutenant General U. S. Grant had planned to assault General Robert E. Lee’s thinly-manned lines around Petersburg, Virginia. He felt that enough time had dragged by in the nearly year-long campaign and that Lee could not withstand a simultaneous attack all along his lines. However, General Lee, anticipating the assault, attacked Grant first. That attempted break-out failed, and Lee began to fall back, abandoning Richmond in the process. The next few days were a blur as one savage battle after another was fought by a far- from-dead Army of Northern Virginia. But Lee was running out of time and food. On April 7th, Grant sent the first letter to Lee of what became a short series of exchanges between the two generals, a series that culminating in the surrender meeting in the most unlikely of places for such a momentous event. 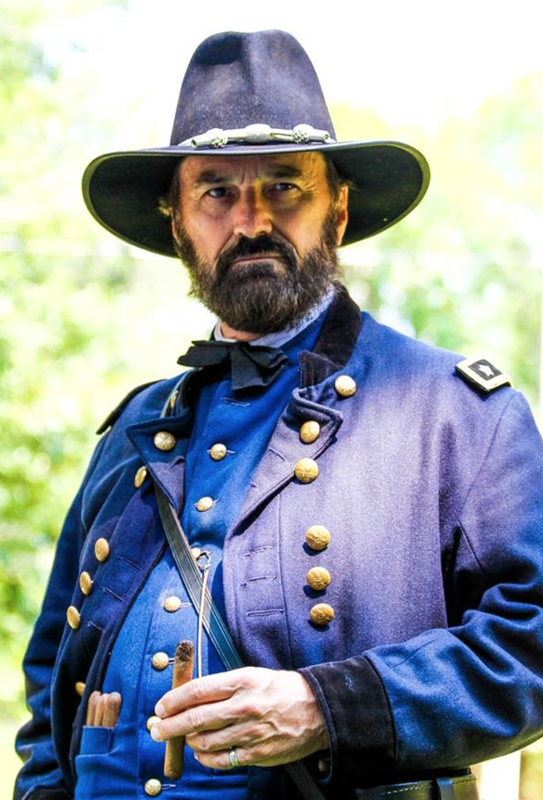 At the next KCWRT meeting, General Grant (played by historian Curt Fields) will talk of those letters and what was transpiring during the two days they were exchanged. The General will also speak about the actual meeting between himself and General Lee, what was said, and what happened in the 75 or so minutes they were together in Wilmer McLean’s parlor. He will address what he said in the surrender letter he wrote to General Lee effectively ending the war, and why he wrote what he did. He will also touch briefly on the unintended ramifications his letter later had on President Andrew Johnson’s Cabinet and administration. The next KCWRT meeting is Tuesday, March 14. Details are at the left of this page. 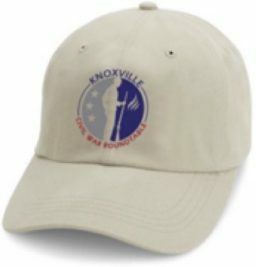 The next meeting of the Knoxville Civil War Roundtable will be Tuesday, Oct. 11, at 7 p.m. at the Bearden Banquet Hall. The speaker will be Frank O’Reilly, historian of the Fredericksburg and Spotsylvania national military park. 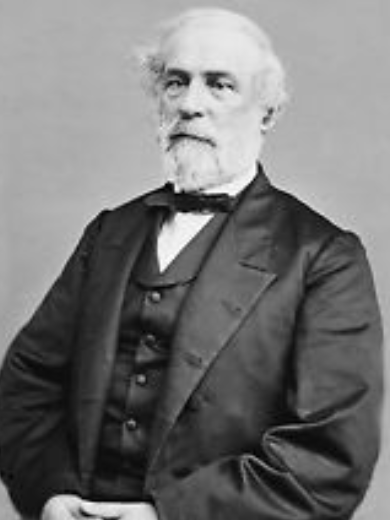 Following the surrender at Appomattox Court House, General Robert E. Lee’s life was fraught with uncertainty. The man of war who had had thousands of men marching with him for four years now was a man alone. Without a job, without a home, and without a country, Lee faced indictment for treason and was betrayed by his own failing health. Despite these setbacks, Robert E. Lee felt a greater obligation to the United States than ever before. He dedicated the rest of his short life to restoring peace in his own way—through education and personal example. Turning his back on his military past, the general made a point of “marching out of step” to follow a path of reconciliation. Only then did Robert E. Lee achieve true greatness as a man and as an American. Come join us as Fredericksburg and Spotsylvania NMP historian Frank O’Reilly introduces us to “the lion in winter,” and we explore a Robert E. Lee few of us know. Note: The annual anniversary of the battle of Gettysburg is this weekend. To commemorate that, we are posting, with permission, excerpts from Battlelines: Gettysburg that describe aspects of the battle. Battlelines: Gettysburg contains the battlefield drawings of Alfred Waud and Edwin Forbes, the only two artists who witnessed the battle. Lee kept his army at Gettysburg because he believed he could win. The first day of the battle had been a good one for the Confederates, and Lee’s experience had been that given the right amount of pressure at the right time, Union forces would collapse. He believed that a second day of battle with the Confederates hitting hard at the Union lines could make that happen again. 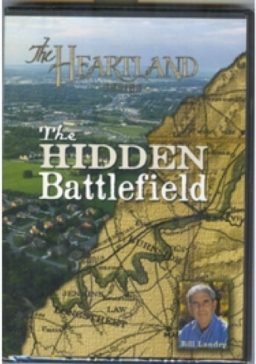 Lee had developed a special relationship with his battlefield commanders, people like James Longstreet, Richard Ewell and A.P. Hill. His orders to them were often general and sometimes vague – deliberately so, because he want to give them room to make their own decisions and because he believed they could understand his purposes. The fierce fighting around Devil’s Den, depicted by Alfred Waud. But this method of command put enormous pressure on these generals to understand Lee and carry out his vague plans. It also assumed that when the actions of these general had to be coordinated, they would work together in a mutually cooperative way. Civil War historians outside the East Tennessee area know little or nothing about the Federal general who gave his life at Knoxville. But how much do WE know about this man whose name adorns modern buildings, hospitals, and even a neighborhood? Born under the Southern skies of Kentucky and raised in the humid Mississippi river town of Natchez, William Price Sanders was a young Federal officer on his way up when he died at Knoxville in 1863. He had been a general one month and one day. Sanders was the sixth child of Margaret and Lewis Sanders, a prominent Mississippi attorney. According to his sister, Elizabeth J. Sanders Haggin, William Price was named for a physician uncle and was known as “Doc” to family and friends, a nickname which was later adopted by his fellow officers. Sanders’ politically connected father secured his appointment to West Point in 1852. His career at West Point was somewhat rocky. A May, 1854 letter from West Point Commandant, Robert E. Lee, announced his impending dismissal for want of application, deficiency in academics and accumulation of numerous demerits. With the aid of a fellow Mississippian—Secretary of War Jefferson Davis— Sanders avoided dismissal and went on to graduate in 1856. 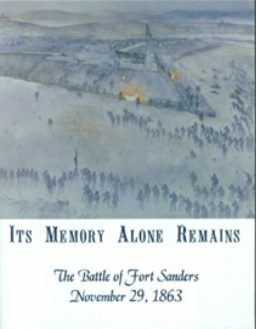 In addition to Sanders, two of his West Point classmates played important roles in the Civil War in East Tennessee: Orlando M. Poe, Burnside’s Chief Engineer and designer of the Knoxville fortifications, and E. Porter Alexander, Longstreet’s Chief of Artillery.